The Hawking 17 is a handcrafted bath sink made from Pure Solid Copper. Featuring our Dual Flex Rim, this copper sink is easy to install as an under-mount or drop-in. With effortless maintenance and a lifetime warranty this Sinkology copper sink is designed for everyday living. The Hawking 17 copper bath sink is a popular rectangle shape with clean straight lines making this bath copper sink the perfect fit for any bathroom. A copper sink is the heart of the room no other item can be as beautiful, practical, and make a sudden impact. Hawking 17-inch Dual Mount Bathroom Sink in Aged Copper The Hawking 17 is a handcrafted bath sink made from Pure Solid Copper. Featuring our Dual Flex Rim, this copper sink is easy to install as an under-mount or drop-in. With effortless maintenance and a lifetime warranty this Sinkology copper sink is designed for everyday living. 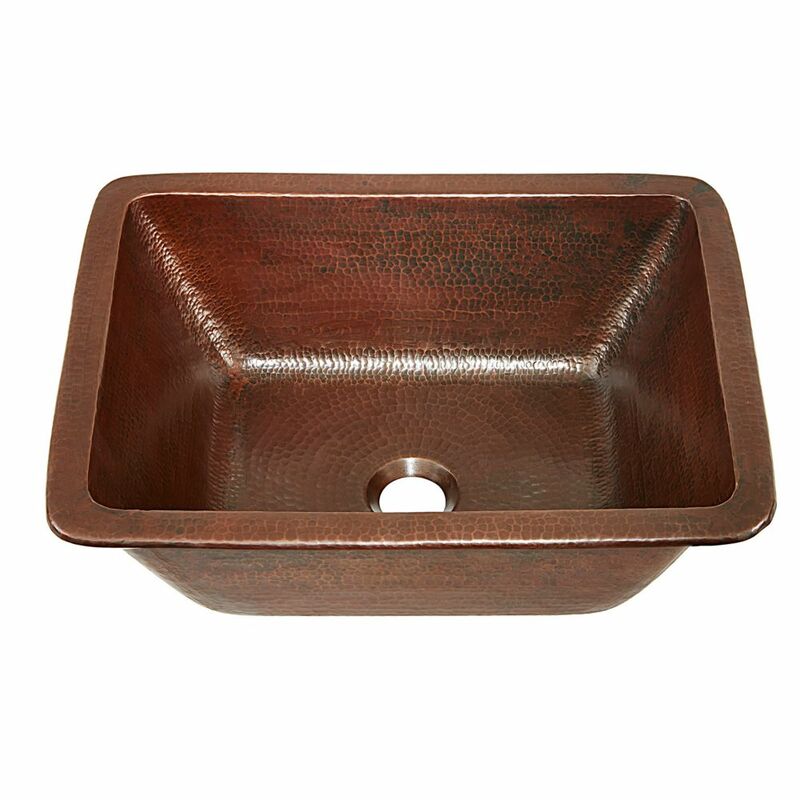 The Hawking 17 copper bath sink is a popular rectangle shape with clean straight lines making this bath copper sink the perfect fit for any bathroom.